Today Amber, the world’s first all-in-one AI-powered smart storage platform, announces receiving top honors from the 2019 Red Dot Awards: Product Design and 2018 Tech Trailblazer Awards. The awards celebrate innovative companies and transformative startups that are breaking new ground in technology and design, providing further validation ahead of Spring shipping date. Amber was founded by Pantas Sutardja, Ph.D., a pioneer of digital storage and Marvell Technology Group co-founder. After leading Marvell to over $3B in annual revenue as CTO, he created Amber so modern consumers can conveniently share and store photos, video and data while keeping their data safe in their own hands. Rather than relying on third-party servers, LatticeWork created a Personal Hybrid Cloud platform that lets users remotely access all their digital assets that are saved and organized locally. Amber includes a high-speed wireless router to enable faster, quicker and seamless access to all digital files. The company’s unique technology gives individuals full control, security, and ownership of their data along with easy-to-use features and multi-layer protection. The device’s minimalistic design puts secure data storage front and center and makes data privacy the latest home accessory. Amber is the latest innovation from Sutardja, the serial entrepreneur with more than 300 patents related to semiconductor and storage system technologies. Since launching in June 2018, Amber sold out its initial manufacturing run slated for shipment in spring 2019 and released a second batch available for delivery soon after. The company itself has grown significantly as well, expanding its workforce by more than 50 percent fueled by a recent $13 million Series A round from Tyche Partners and strategic partners. Amber is the flagship product by LatticeWork, and is the first-ever, AI-powered smart storage platform. 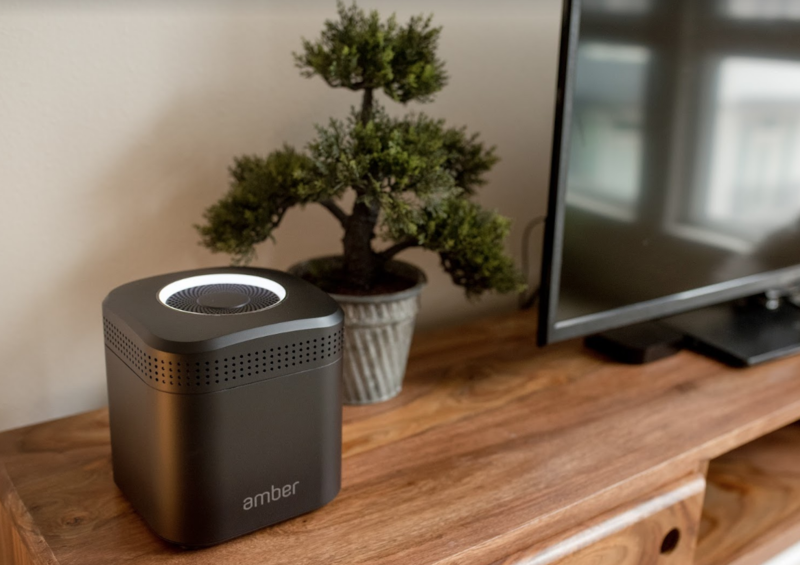 Amber allows users to safely backup, store and organize their digital data in the privacy of their own home while being able to access and share remotely with Amber’s Personal Hybrid Cloud. Additional features include Camera roll auto backup, AI-assisted facial recognition search, video streaming, TV casting, remote sharing and access, multi-user support and multi-device file synchronization. Red Dot stands for belonging to the best in design and business. Our international design competition, the “Red Dot Design Award”, is aimed at all those who would like to distinguish their business activities through design. The distinction is based on the principle of selection and presentation. Excellent design is selected by competent expert juries in the areas of product design, communication design, and design concepts.